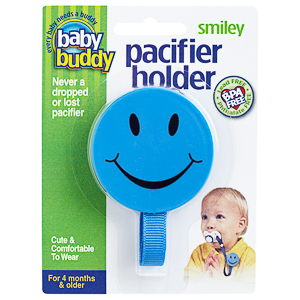 A whimsical pacifier holder featuring one of the best known and longest lived icons of the 70s. 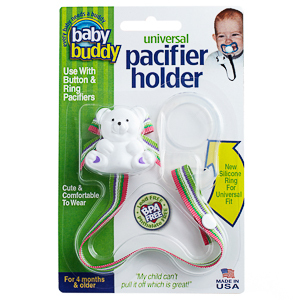 A durable, "super grip" metal clip attaches securely to baby's clothing, car seat cover or stroller. 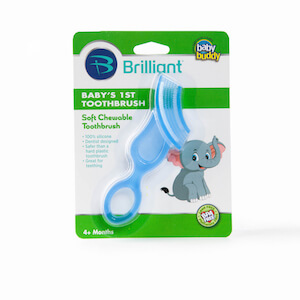 Available in blue, pink and yellow. MADE IN USA.